The Young People For Fellowship is a long-term leadership development program for college-aged folks, that aims to identify, engage, and empower young people who are historically left out of the leadership development pipeline to take action in their community, today. Throughout the one-year Fellowship, Fellows are offered training and resources as they implement a self-designed community action plan called a Blueprint for Social Justice. Applications are now closed and will reopen on October 1st, 2019! If you love your community and are passionate about making it better, this Fellowship is for you. We’re looking for people who want to #BuildABetterNow for their communities by creating a plan to solve the problems facing it. Whether you’re just getting started or already have a plan in action, we want you to #JoinTheFam. If you haven’t had traditional access to leadership development opportunities, but are curious to learn how to be a leader with a social justice lens, than this Fellowship is for you. YP4 believes that everyone has a different path to leadership development and we strive to create a space for you to flourish, wherever you may be on your leadership journey. We’re looking for people who value social justice and are eager to learn all that they can through this Fellowship. Humility is a core component to keeping the integrity of the Fellowship. We’re looking for people who demonstrate great passion to create change in their communities and at the same time stay grounded and humble in their work. You will be successful in this Fellowship if you have a strong desire to learn the necessary tools and skills to become an agent of change and seize every experience to learn something new. We need people who have a vision for their community and aren’t afraid to think outside the box. YP4 will help you hone your plan and connect it to the work being done across all communities. This Fellowship is for anyone who wants to think creatively about solutions for their community. Attend one mandatory Regional Training. Please note: You must attend the Regional Training that aligns with the state you will live in during the Fellowship cycle (May 1, 2019 – April 30, 2020). Attend YP4’s 15th Annual National Summit the weekend of February 14-17, 2020. Complete a Blueprint for Social Justice (Outline, Draft, and Final). What is a Blueprint for Social Justice? The Blueprint for Social Justice is a community action plan created by each Fellow to address a need in their campus and/or community. YP4 provides Fellows with the training, Fem/Mentorship, resources, and technical assistance necessary to ensure their Blueprints can be supported over the long-term. What is the Regional Training? All Fellows begin their YP4 experience over the summer at one of our three Regional Trainings, which take place in different cities across the country. At the four-day Regional Trainings, Fellows meet with 30-40 other young activists and organizers from their region, YP4 staff and Alumni, and organizational partners from the area. The focus of these initial trainings is individual capacity-building and leadership development. Fellows are introduced to progressive values through workshops and discussions on power, privilege, oppression, intersectionality, allyship, personal storytelling, community building, and more. In addition, issue area experts join us to train the Fellows on topics ranging from environmental and reproductive justice to voting rights work. At these trainings, Fellows begin to draft a proposal for their Blueprint for Social Justice, the project they will lead in their own community later in the Fellowship year. The Regional Trainings occur in different regions of the country. Exact locations change year to year. Attending a Regional Training is a requirement of the Fellowship. Not attending results in forfeiture of the program. What is the National Summit? Each winter all Fellows who have successfully submitted a draft of their Blueprint for Social Justice, come together for a National Summit which are four days of trainings, workshops, and networking. At the Summit, Fellows meet other young progressive leaders from all over the country and learn powerful strategies for creating sustainable change on campuses and in their communities. Fellows are expected to attend the full National Summit over the extended weekend. However, exceptions can be made on an individual basis if this presents an issue. YP4 covers the cost of Fellows’ accommodations and most meals, and works with Fellows to ensure they are able to afford their travel to the Summit. Can I stay in my city? Yes. YP4’s Fellowship supports its Fellows where they are. All Fellows meet twice in the Fellowship year, during the Regional Training and the National Summit, but the bulk of the work is done in each Fellow’s community. What are the time commitments and requirements? Who is eligible for the YP4 Fellowship? Can I still apply even if I’m not a student? You do not need to be a currently-enrolled student to apply for the YP4 Fellowship. YP4 works with a multitude of young people across the country. They come from all different backgrounds, but they all share a common vision of a more progressive future and want to make change in their communities now. The majority of our Fellows are 18-27 years of age. However, if you identify as a progressive young person who wants to create positive social change in your community but you fall outside of that age bracket, we will still consider your application. We aim to meet each Fellow, or potential Fellow, where they are.  If you have additional questions about your eligibility, please contact youngepeoplefor@pfaw.org. If accepted to the program, can I defer my Fellowship? We do not defer admission into the YP4 Fellowship program, but we encourage you to apply next year. Will it cost me to be a part of the Fellowship? The Fellowship is unpaid, however it will not cost you any money to be a part of the program. The only costs associated with the Fellowship include travel to and from the Regional Training and National Summit, however YP4 does have some funds available for need-based travel scholarships. All lodging and most meals at trainings are covered by YP4. What happens after the Fellowship year? YP4’s leadership development model is rooted in a lifelong commitment to the young people who come through the program. YP4 does not invest for a few months or even just a year; YP4 invests for a lifetime. YP4’s Alumni network is made up of nearly 1,900 progressive leaders. Check out our Alumni programs and opportunities here. Applications are open now! We encourage you to apply today.